and Sam Houston State University. stay connected to the Bearkat family! Looking for tickets in the Athletic Training section? CLICK HERE for the link and enter the code "bearkatat" to sit with us! Brad Dixon (class of '92) has worked with SHSU Department of University Advancement to establish the 'Sam Houston Athletic Training Alumni and Friends' Scholarship AND he has made the very first donation!!! Please help build this new initiative as we grow our young alumni club by donating to the scholarship! Donate online with a credit card online at https://www.shsu.edu/giving. If you choose to donate online then they need to enter the gift amount in the 1st box, select other from the 2nd box labeled gift designation and finally enter Sam Houston Athletic Training Alumni and Friends Scholarship in the 3rd box labeled other. Regardless of the method of donating, please reference the name of the scholarship: Sam Houston Athletic Training Alumni and Friends Scholarship. 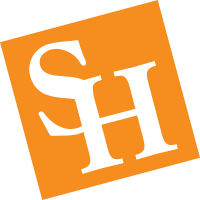 Remember that gifts to Sam Houston State University are tax-deductible as allowed by law! If you have any questions about the scholarship, email Brad Dixon at bradley.dixon@sfdr-cisd.org. If you have any questions about the Sam Houston Athletic Training Alumni and Friends Association email Jamie Woodall at shsu.atalumni@gmail.com.